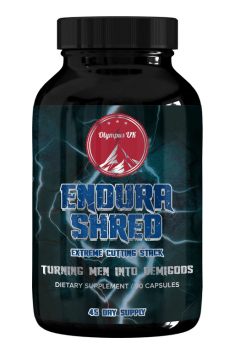 EnduraSHRED by Olympus UK was formulated as being a catalyst to increasing lean size, hardening muscles, and attaining strength that comparable of a demigod’s. It’s the perfect Recomping SARM / PPAR Modulating Stack. 6 weeks is an optimal period of use. It especially helpful during the periods with the increased number of endurance trainings, especially during reduction.